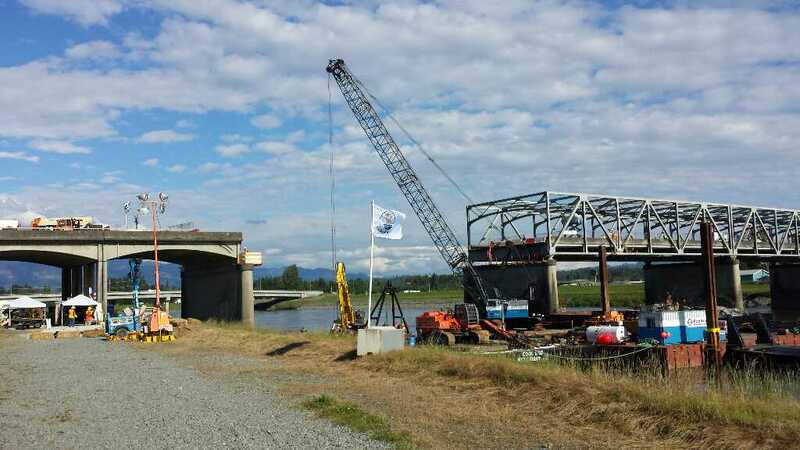 Skagit River Bridge Collapse - Global Diving & Salvage, Inc.
On May 23, 2013, while traveling on the southbound lane of Interstate 5, a truck hauling a heavy and oversized load struck the support structure of a bridge spanning the Skagit River in Mt. Vernon, WA. The damage inflicted by the truck caused the 160 foot long, four lane span to collapse into the river below, completely severing the north and south bound lanes of the major West Coast interstate highway. Global Diving & Salvage, Inc., under contract to Atkinson Construction, worked around the clock for 13 days under direction of the Washington Department of Transportation and the National Transportation Safety Board (NTSB) to provide diving and salvage services throughout the investigation and debris recovery phase of the project. Dive operations in the river were complicated by high river currents resulting from spring runoff conditions. The salvage operations included a detailed underwater survey of the downstream edge of the wreckage to ensure that it was safe to bring demolition equipment alongside. Motor vehicles caught in the bridge collapse were recovered. 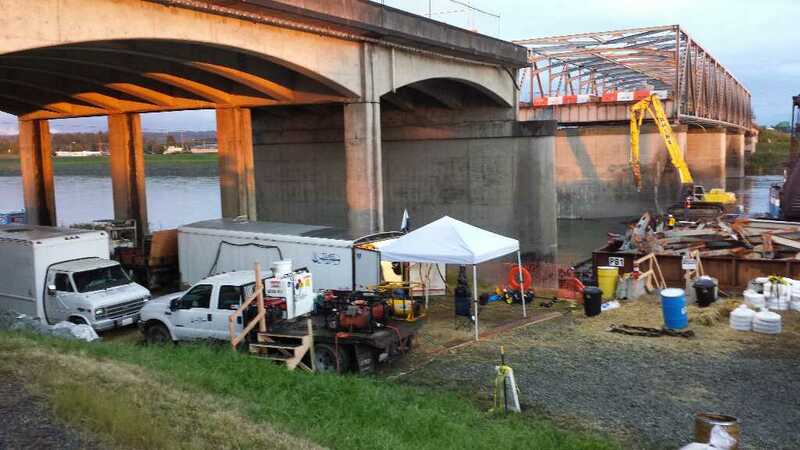 Working closely with the NTSB, the bridge wreckage was cut and rigged out of the river. 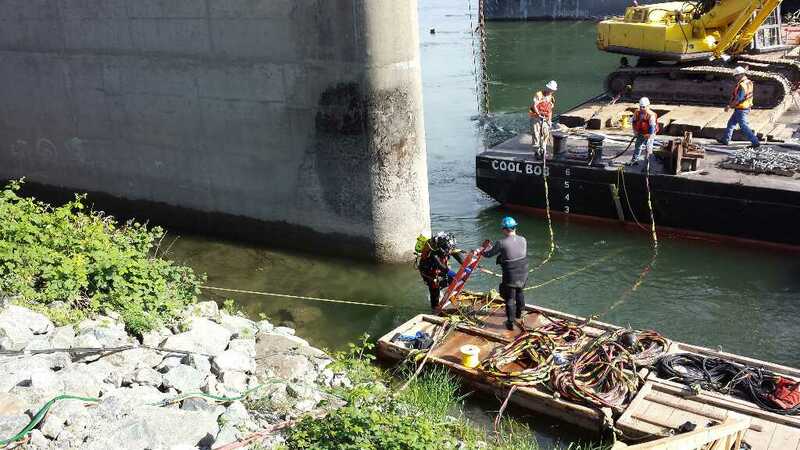 With the river cleared of debris, an underwater inspection of the concrete bridge piers was performed in order to confirm the structure remained viable for bridge reconstruction.